Our product range includes a wide range of magnetic filter and industrial magnetic filter. 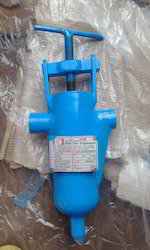 Since the establishment, we are regarded as a renowned manufacturer, supplier and exporter of Magnetic Filter. This filter is manufactured by skilled workforce using top-grade basic material and cutting-edge technology in accordance with the set industry standards. Such filter is utilized for filtration of fine ferrous impurities found in coolants hydraulic oils, lubricants, slurries etc. Tested on varied parameters, this Magnetic Filter is known for its anti-corrosive finish, tough construction, reliability and durability. As a leading manufacturer, supplier and exporter, we, RAK DIN ENGINEERS, are actively engaged in offering superior grade Industrial Magnetic Filter to our widely scattered customers. 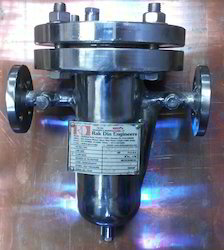 The offered magnetic filter is required in several industries for removal of fine iron impurities from slurries, liquid chemicals, lubricants, coolants liquid pharma food products. Constructed top grade raw material, this Industrial Magnetic Filter is examined thoroughly by experts before the end delivery. Looking for Magnetic Filter ?